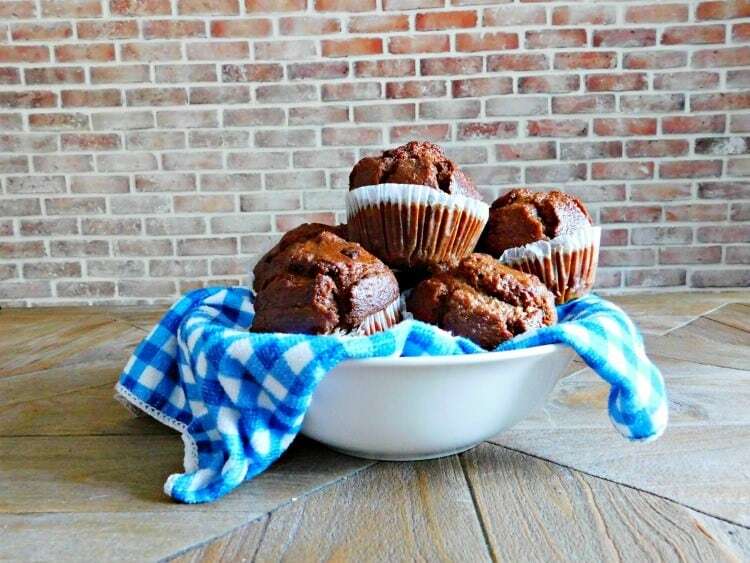 Bran muffins with raisins are a classic recipe every baker should add to their repertoire. These muffins are packed with fiber and are a perfect breakfast to grab and go when you are on your way out the door. The whole family will love these bran muffins with raisins made with simple ingredients and baked in just 25 minutes. What’s something that everyone has to deal with at some point in their lives but no one wants to talk about? Occasional constipation! Let’s get real. Occasional constipation is no fun. But there are things you can do to help make yourself more comfortable and get relief. Adding fiber to your diet with foods like today’s recipe for bran muffins, drinking plenty of water and getting daily exercise can all help to keep you regular. 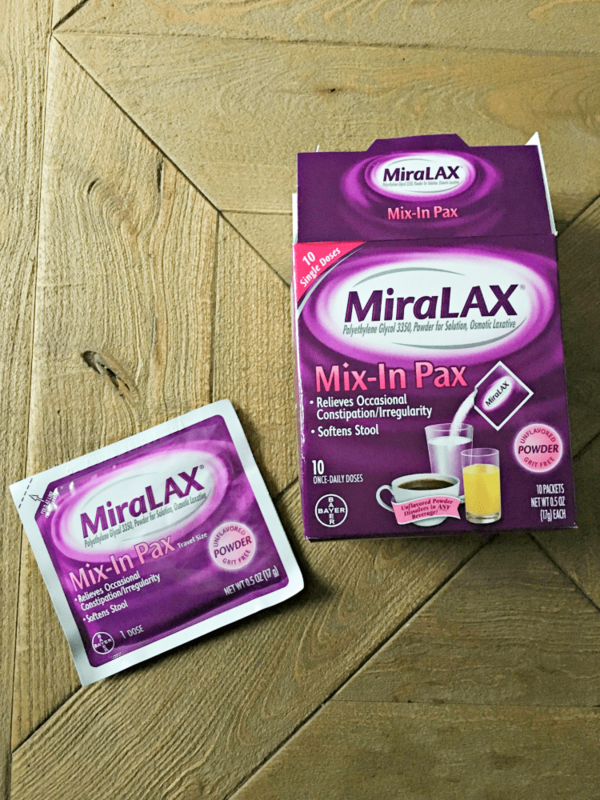 On a recent trip to Walmart I picked up MiraLAX Mix-In Pax® and MiraLAX unflavored powder. You can easily mix this into water or your favorite drink. 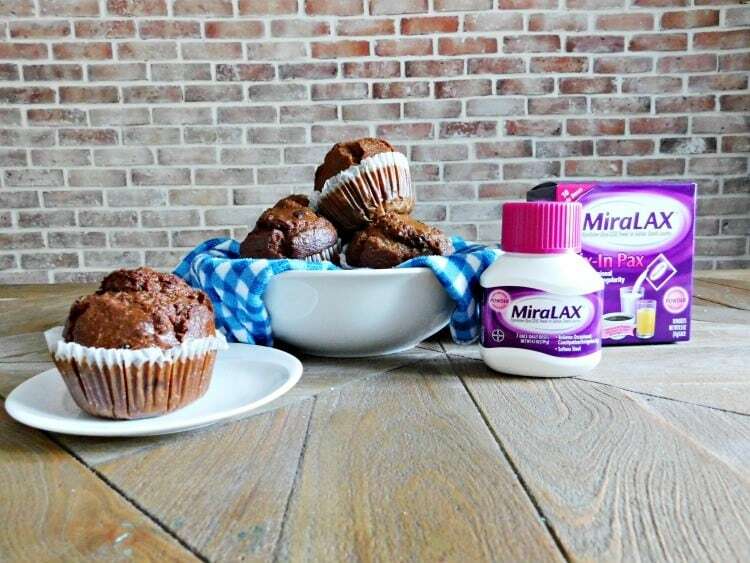 MiraLAX works with your body’s natural process to provide effective relief from occasional constipation. 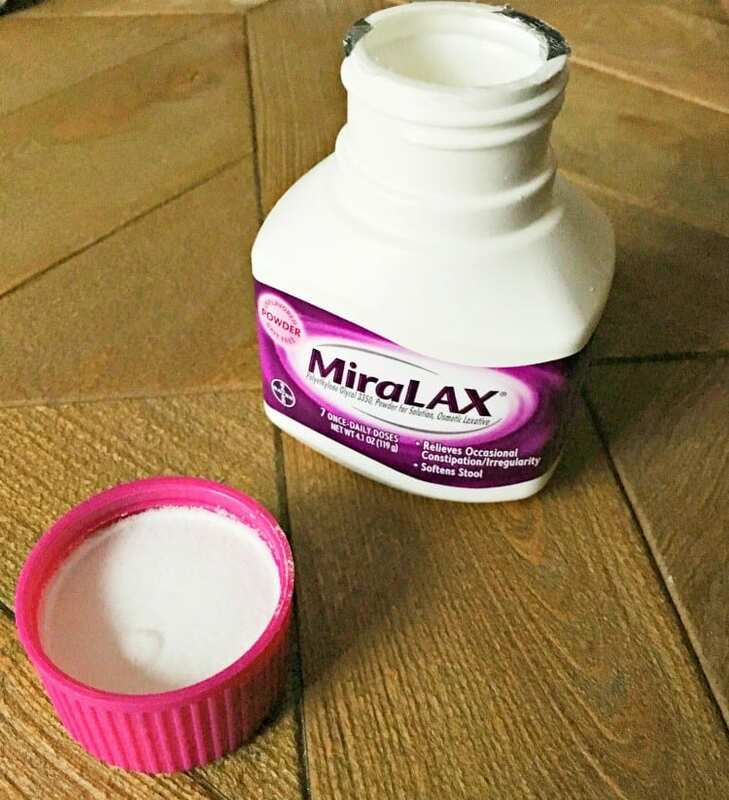 Because it works with the body, MiraLAX provides a gentle experience, and doesn’t cause harsh side effects. 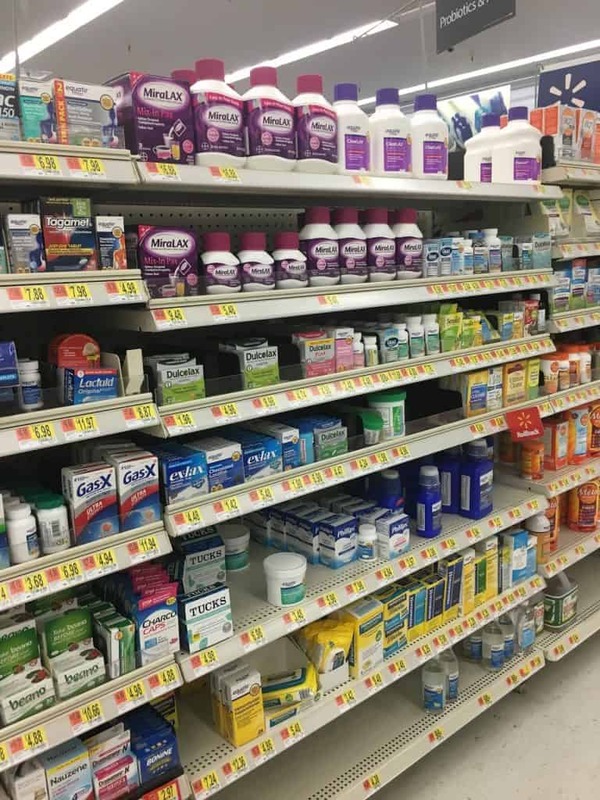 MiraLAX is different from stimulant laxatives. Stimulant laxative pills make your body go by forcefully stimulating the nerves in your colon. MiraLAX works with the water in your body to hydrate, soften, and ease, unblocking your system naturally. Use as directed. 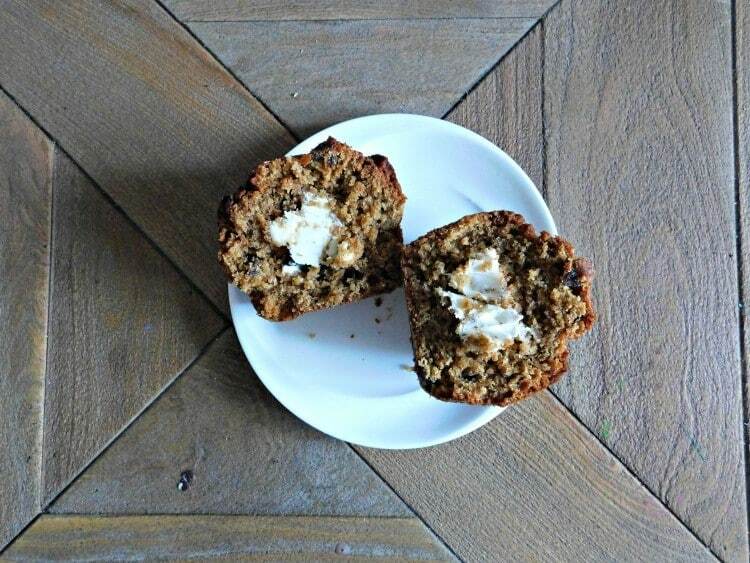 This recipe for bran muffins is a way to help keep yourself regular. These muffins are loaded with fiber to help fill your tummy in the morning or any time of the day when you want a healthy snack. Lightly oil a 6-cup standard muffin tin, or use paper liners. In a medium bowl, combine cereal and milk; let stand until softened, about 5 minutes. In a small bowl, whisk together flours, baking powder, cinnamon, and salt. Stir oil, egg, and sugar into cereal mixture. Divide batter among cups. Bake until a toothpick inserted in the center of a muffin comes out clean, 20 to 25 minutes. Cool in tin 5 minutes, then turn out onto a wire rack; let cool completely, or serve warm. Store up to 5 days at room temperature in a resealable plastic bag. If you like this recipe please share on social media and don’t forget to take advantage of the savings on MiraLAX® with this coupon.